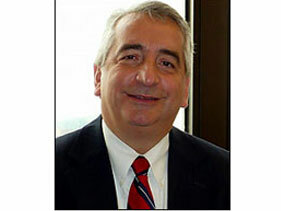 Charles E. Gelo Financial Advisor Buffalo, NY Charles E. Gelo – Trubee, Collins & Co., Inc.
Charles E. Gelo joined the team at Trubee Collins & Co., Inc. in 2009 with more than 17 years of experience in the financial services industry. He graduated from the State University of New York at Fredonia with a Bachelor of Science degree in 1979. Charlie, currently a member of the Financial Planning Counselors of Western New York, holds General Securities Series 7, Managed Futures Series 31 and Uniform Investor Advisor Series 65 as well as Life, Health and Variable Annuities licenses. Charlie believes that the cornerstone of financial planning is the recognition that everyone’s economic and life situation are unique. As a Financial Advisor, he is dedicated to learning about his client’s personal goals and objectives. Together, Charlie and his clients create, implement and monitor a financial plan focused on their specific needs. Trubee, Collins & Co., Inc. is one of the earliest members of the Buffalo Executive Association (Executive Business Networking In The Buffalo — Niagara Region Of WNY), having joined in 1943. Charlie serves as the alternate representative for the firm. In addition, he also is an active member of the Hamburg High School Finance Academy Advisory Board and an active member with the Financial Planning Counselors of Western New York. Charlie and his wife, Lisa, live in Hamburg and have two children, a son Nick and a daughter Katie. In addition to spending time with his family, Charlie enjoys music, sports and reading.